“222222”, “qwerty”, “123456”, these are the most commonly used passwords for 2016 and 2017. Why do people still use these as passwords? Are they really stupid? Well, anyone can provide strong passwords by mixing numbers, letters and special characters. But who can remember such a password? As a result, people often end up using easy-to-remember passwords such as birthdays, names or city names. This also makes them the target of hackers. You will never know when you may be a victim of a hacker attack. It may even be a friend or competitor of yours. Having a strong password is the only defense you can deal with. Now it’s time to start thinking about better passwords and find an easier way to manage them. A reliable password manager can be the savior to do the job. A password manager is a piece of software that is typically used as a browser extension or mobile application to store and remember all passwords securely in one place. After registering with the password manager, you can store the passwords for all your online accounts in the app, so you don’t have to remember them again. The only password you must remember is the master password you set for the password manager itself. Then, whenever you want to log in to the website, the password manager will automatically fill in your account username and password for you. Just click the login button. Why do you want to use one? By storing all the news and stories about hacking and government espionage, storing all passwords in one place seems like an adventurous step because it allows hackers to access account information for all your valuable online services in one place. Are you willing to store your password in your browser? In fact, password managers are virtually unshakeable because they use a military-grade end-to-end encryption system to protect your password. This means that even a company member behind the password manager can’t view or read your password? Choosing a password manager is the safest thing you can do now to protect your online account. When it comes to password managers, LastPass is the most popular. why? Mainly because it provides quality features for free. Its advanced program costs just $12 a year, with more powerful features and 1GB of encrypted file storage. LastPass uses AES-256 bit encryption, salted hash, and PBKDF2 SHA-256 to encrypt and protect your password, which will ensure that only you can access your password. In addition to managing all your passwords, LastPass can also help you generate more powerful passwords using the password generator. You can also sync and use LastPass across multiple devices for free and protect your account with two-factor authentication. Due to its popularity, LastPass has suffered many hacking attacks over the years. However, the company can afford all of this. You can even say that it makes them more secure than anyone else. Dashlane is a fairly new competitor in the password manager game. This also makes it a less likely target for hackers. Although the service is new, Dashlane already has a very large user base. A unique feature of Dashlane is its use of its own zero-knowledge security architecture, AES-256 encryption, and US patents. Dashlane also provides password generators, form auto fills, security alerts, password changes and digital wallets in one system. The only downside to using Dashlane is that its free plan does not support automatic synchronization between your devices. You must subscribe to the Premium program of $39.99 per year to get this feature. 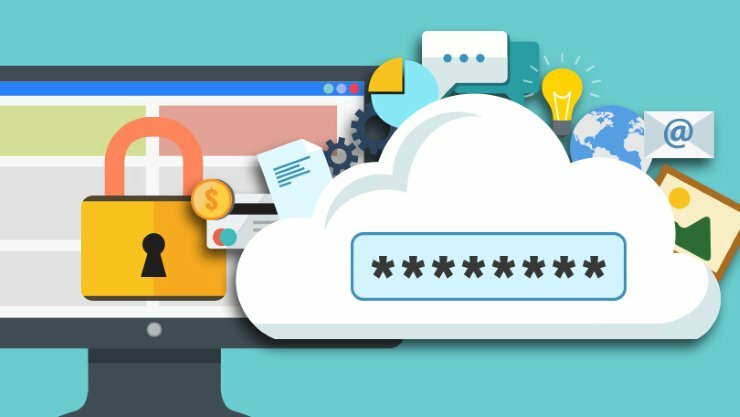 If you can afford the price of $36 a year, 1Password can be a reliable password manager to keep your login information secure. It’s the most popular among Mac users because the app seems to run smoothly on the platform. Similar to LastPass, 1Password also uses AES-256 encryption and PBKDF2 key derivation to protect user data. Another great feature that comes with 1Password is that you can choose to sync data offline on your device, sync with Dropbox, iCloud, or sync with your 1Password account for end-to-end encryption. 1Password also allows you to save and store your credit card information to make it easier to fill out the form. It also has another feature called 1Password Watchtower that sends user security alerts for the services and sites you use. The biggest disadvantage of using 1Password is its price, which is almost twice the cost of LastPass Premium. 1Password also does not support Linux. RoboForm is one of the oldest password managers and dates back to 1999. And the service is still full of energy. RoboForm uses AES 256-bit encryption and PBKDF2 SHA256 to protect its user data. Like many others on our list, RoboForm only decrypts your data on your device, not on their servers. RoboForm also features simple one-click login, form filling, encrypted text descriptions, and the ability to import and export passwords as CSV files. You can use RoboForm for free on a single device. To access and sync your account across multiple devices, you must subscribe to an advanced program of $19.95 per year. Keeper is a premium password manager for all mobile and desktop platforms, including Linux. Keeper is popular among mobile users for its fingerprint login feature, which allows you to add better security to your password vault. Keeper uses AES 256-bit encryption and PBKDF2 to protect your data and supports multi-factor authentication, biometric login, and Keeper DNA to confirm your identity before logging into the password vault. The keeper does not offer the same advanced features as other apps, such as creating a digital wallet. However, it provides better security for your password protection. In addition to the $30 per year price, Keeper does not support other features, such as form filling, digital wallet or file encryption storage. Given its premium, this is a bit disappointing. There is no better password manager than LastPass when considering ease of use, compatibility, functionality, and pricing. Its free plan gives you all the features you can get from an advanced program on other platforms, and the LastPass Premium Edition costs just $12 a year. Keep in mind that these services are not perfect. When a hacker finds a vulnerability in an application, even these password managers are subject to many attacks. However, until today, there has not been a case of a hacker stealing a password from a password manager. So please rest assured that your password will be secure.